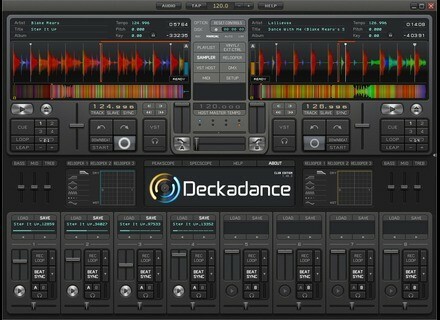 Deckadance, DJ Software from Image Line in the Deckadance series. 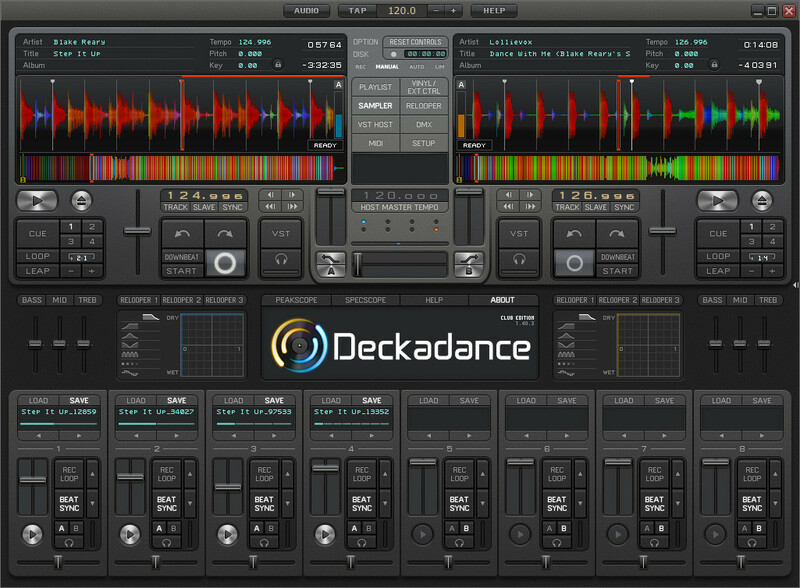 Image Line has updated Deckadance to v1.5.2. * [fix] - Fix a synchronization problem when master tempo engine is active. * [imp] - Improved audio engine. * [imp] - Improved DVS system to get rid of "sticker drift" problems. * [fix] - Fix visual problem in the pitch sliders in DVS mode and soundcard samplerates of 48KHz. * [imp] - Improved double/half buttons behavior in the BPM setup panel. * [imp] - Updated minihost.